I’m an avid BBQ’er, I have several grills along with a near 1,000-pound Pitmaker smoker out of Texas. I try just about every sauce I come across. 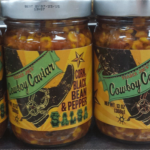 For a great basic sauce/marinade it’s hard to go wrong with Bullseye or Sweet Baby Ray’s….but when it comes time for that final basting coat, the ‘finishing coat’ or the money-shot, this sauce is simply phenomenal, superb and outstanding. It’s a hint on the sweet side and likely inclined so by means of some fruit blend but as far as flavor profile and some serious bone-sucking delicious flavor, this sauce is my current favorite pick. This may well be the crystal meth of BBQ sauces! Dang good, if not the best BBQ sauce I’ve ever tasted. The texture, the smell, the sweet, tangy, southern taste that it has. Amazing, will buy again. The only downside is calories, which goes for all delicious sauces. This one’s my favorite for making barbecue jackfruit. Only downside is yesterday when I went to buy it they didn’t have any 🙁 Please bring it back TJ’s! 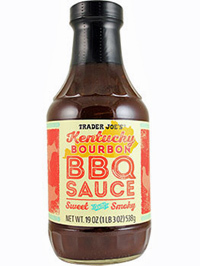 Both my wife and I strongly favor this BBQ sauce over all others we have ever eaten. 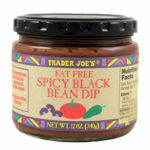 We are very disappointed that TJ has discontinued the best sauce on the market bar none. 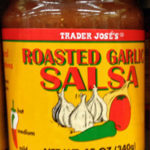 Please TJ bring this product back. Our rating of the product is 5+ stars but our rating of TJ has dropped drastically. This is our very, very favorite!! Please bring it back! !